Jamie and Esther eloped last spring and I got to be one of the lucky few to witness their intimate ceremony! We had a blast at their Balboa Park engagement session... and so I was excited to be able to capture their wedding as well. I love elopements because they bring focus to the couple and their commitment & love for one another. 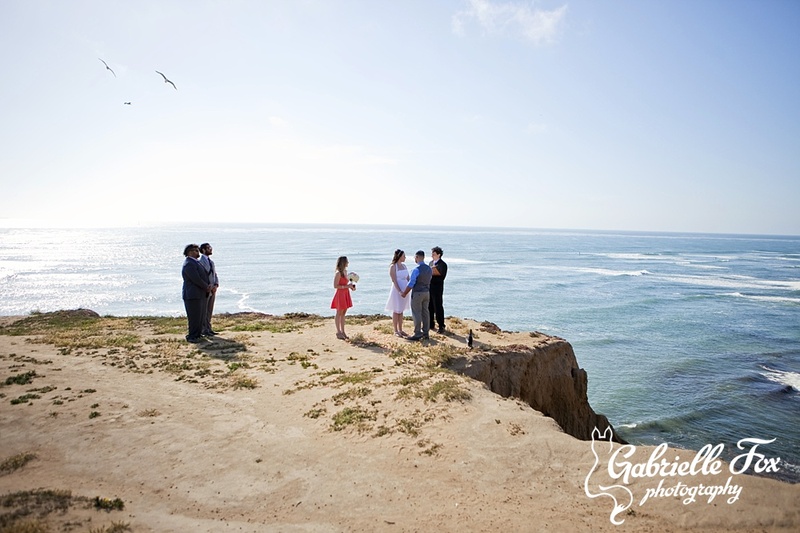 Jamie and Esther were married high up on the cliffs overlooking the ocean, among the clouds and soaring pelicans. Just them, a couple family members and musicians to serenade them with "Just the two of us." Perfect day.